I’m getting ready to do something really important to me this afternoon, and so I’m a little bit stressed about it. When I’m stressed, I “nervous clean” so I came upstairs to work on Ted’s side of the bedroom closet. In the very back corner I found a bin, and when I opened it, look what I found! 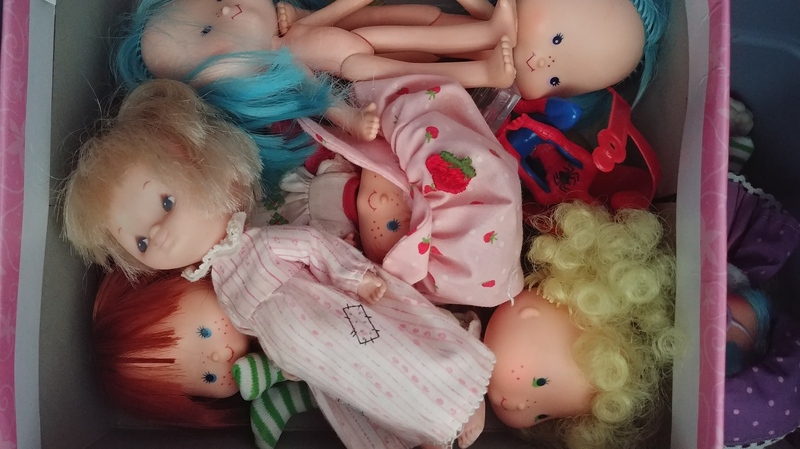 All of my old friends from childhood were staring up at me with their happy little smiles and their sweet eyes. 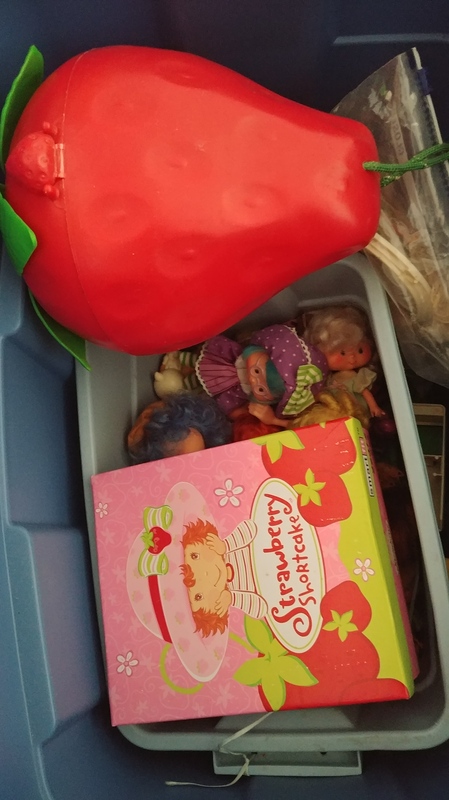 I was an absolute Strawberry Shortcake fanatic when I was a little girl, and these are my old dolls that I played with for many many years, and then my kids played with them for many many years, and I had tucked them away in this bin for my grandchildren to one day play with for many many years. This was definitely stress relief! LOL I spent a few minutes picking each one up and sniffing in those wonderful fruit scents. 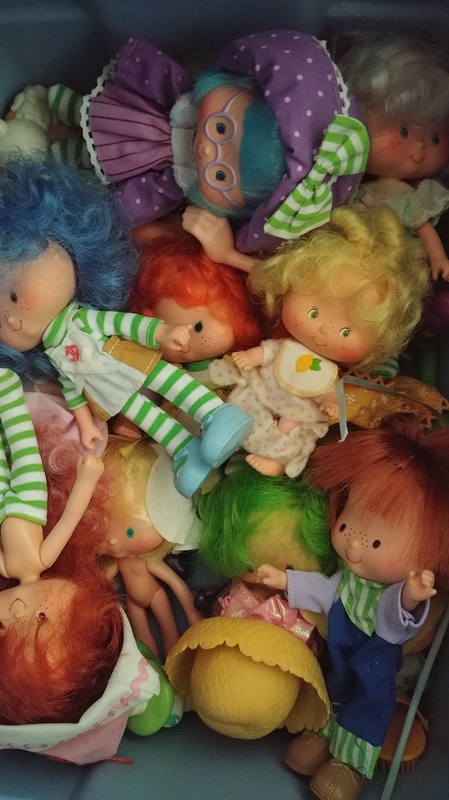 They still smell good even after 40 years! I’m going to take this as a sign that this important thing this afternoon is going to go very well. I hope it does because I really want to share big news tomorrow!